Not sure what I love more, the awesome poodle print on this blazer, or the fact that I bought a matching poodle peplum-esque printed skirt to complete the set. Oh I'm such sucker for prints. for more inspiration and insider access to giveaways! You score the best prints! Obsessed! Love the whole outfit, especially the blazer, it looks great on you! I adore this print, and whimsical prints in general. I'd have such a field day if I were ever to play dress up in your closet! this is so cute...love the fact that it is a blazer, too! I seriously was considering getting this blazer after you linked me! lol! Looks sooo cute and so fun, but definitely on the hunt for sometype of poodle print! Hah! Looove the poodles! And those heels are kind of ridiculous amazing! Adorable! I die for those shoes...SO cute! Cute look! Loving that blazer! The print is adorbs! it's all about prints these day, this poodle one is the cutest i'd seen!!! love this sleek look on you, great pumps too!!! THE BLAZER IS JUST AWSOME WITH YOUR JEAN. WOOAH! 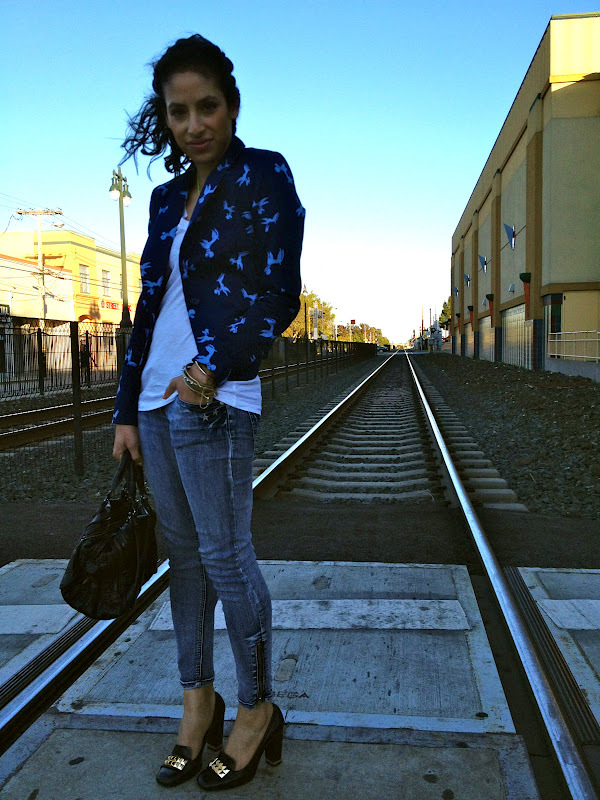 I LOVE this blazer! It's so fun and unexpected! my arm parties & a giveaway! !